Being on vacation in Cabo San Lucas doesn’t mean you can’t enjoy the sports you love to play at home. My husband and I choose our trips based on things that we love to do. We both are big tennis players and he loves to golf, whether it be at home or on vacation. That’s why we choose Cabo. You can still enjoy the many things to do in Cabo San Lucas and still play the sports you love. 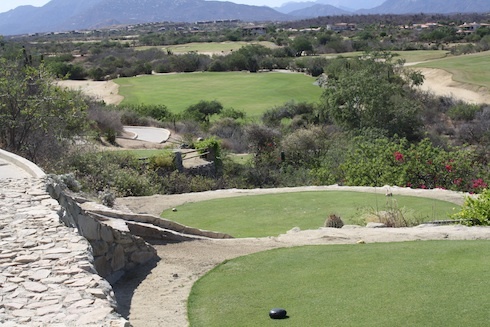 Golf is one of the most popular things to do in Cabo San Lucas. If you are a golfer, take your clubs and head out to the links. There are six championship golf courses, including the 18 hole Cabo Del Sol Desert Course to tempt the most avid of sports fanatics. For those who like to putt the day away – rent a Cabo villa with its own private putting green. Also, the Rusty Putter in San Jose del Cabo has a putt putt golf course. If you prefer to watch golf – Cabo San Lucas hosts many tournaments like the PGA Senior Slam Tournament since 1995. Tennis is one of my favorite things to do in Cabo San Lucus. Last year my friends and I rented a villa in Pedregal a community in Cabo San Lucas Mexico. We spent most of our vacation at the community tennis center. Enjoy a game of tennis at one of the many hotels and villa rentals in Cabo San Lucas. A lot of hotels and resorts in Cabo San Lucas have tennis courts on site where you can play. Another thing to do is to sharpen your tennis game at a clinic. At Palmilla Tennis Club you can enjoy daily drill clinics for adults and private lessons. They also offer kids’ clinics and exhibitions with celebrity professionals. Don’t want to leave the soccer ball behind? No problem. Cabo San Lucas is home to Delfines de Los Cabos Futbol Club the only Professional League of the Mexican 2nd Division in the state of Baja California. Let Fiesta Sports arrange a soccer tournament for your next family, friend or company gathering. If you are looking for some social things to do in Cabo San Lucas, Fiesta can arrange a pickup game where you can meet other soccer players. You can’t experience all the things to do in Cabo San Lucas with just one trip. Visit again and please share some of your favorite things to do in Cabo San Lucas with pictures or words.